The constraint of land based opportunities and the fantastic environment of having a floating residence is pushing this new development forward quickly. 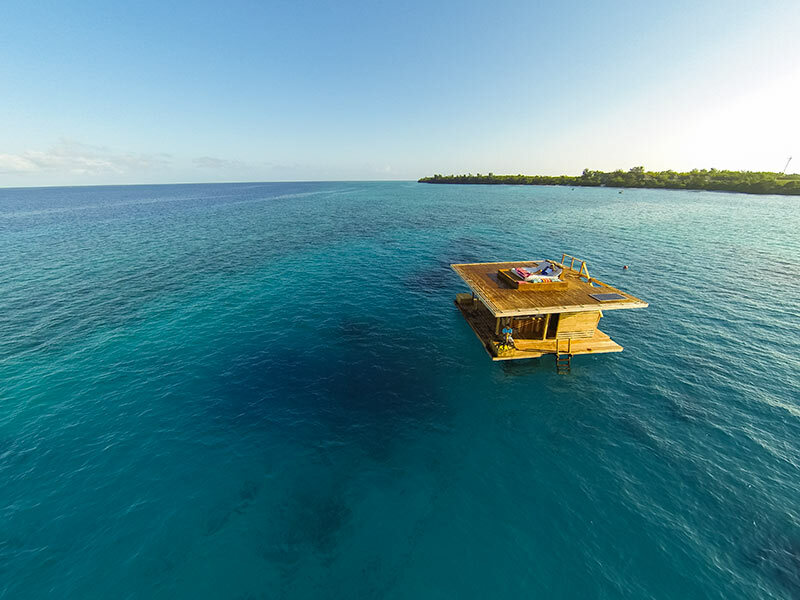 Floating private residences as well as restaurants and hotels have to be moored safely, but there is also a greater need for the foundation to be rigid. After all, who would want to live in a fantastic floating house that is constantly moving around and tilting or banging up against piles? The SEAFLEX mooring solution gives an unparalleled solution, offering a gentle and safe mooring system. We have experience of mooring floating residences of varying sizes and shapes. There are several reasons why you should choose to moor your floating residence using SEAFLEX elastic mooring system. The total cost of ownership will over time in many cases be lower when using SEAFLEX compared to traditional mooring methods. This is mostly due to the extended longevity of the SEAFLEX mooring system, as well as the fact that SEAFLEX requires substantially less maintenance and is easier to inspect. The installation of SEAFLEX is by many considered to be an easier process than other methods; if SEAFLEX is combined with technical anchors there is no need for heavy equipment during the installation process. Finally, the aesthetically pleasing aspect of choosing SEAFLEX, especially when mooring floating residences that are many times meant to function as homes, cannot be overlooked. SEAFLEX keeps the buildings secure and stable, while leaving the beautiful and important underwater ecosystem and seabed untouched and unharmed.